An ex lover releases her new memoir and how these unexplainable synchronicities happened when she crossed paths with Don Henley, a member of the rock band, the Eagles. Tricia Kelly's new memoir, 'Her Love Story,' is uniquely in a niche of its own. There are no other documented love stories of this nature, and how these unexplained synchronicities played out, and her divine timing was perfectly aligned to meet everyone who crossed her path. Tricia Kelly's heart was captured by Mr. Henley the moment she met him backstage at an Eagle’s first down-under concert in Australia, in 1976. He became this huge catalyst that changed her life in a profound way. This led her on her personal quest in search of answers as to how and why certain people and events played out in her life, and how so many of them surrounded this one particular man, Mr. Henley. After spending a few days together, Tricia was determined to reconnect with Mr. Henley in Los Angeles. A year later, with an address he gave her of his management office on Sunset Boulevard, she unknowingly ended up sitting on his gate and watching her first Los Angeles sunset instead. This happened during a time when there was no internet, or MapQuest. 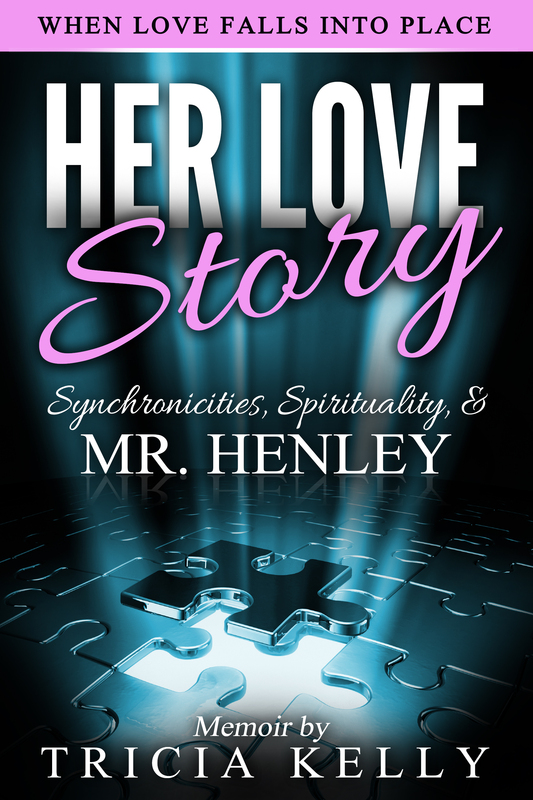 She relied on her own personal guidance system, and her desire to reconnect with Mr. Henley. Tricia followed her hunches, and her intuition, and these unexplained miracles unfolded around her. When Mr. Henley took her to his home a few weeks later, she was dumbfounded that she had already crossed his path and had even sat on that gate. Tricia explains in her book, “These powerful manifestations confirmed to her that we do create what we desire.” Her memoir is written from that point of view, and her innocent journey of self-discovery. She explains, "Our love and passions propel these synchronizations faster than when one lives in doubt, fear, and the energy of hate." Now with years of research on this subject Tricia is qualified to speak on a wide range of subjects relating to spirituality, and how one can manifest their dreams. Tricia quotes, “We do have the ability to create this form of alchemy, and to even self heal one self.” She also explains, “We must listen to our gut, our intuition, that these are powerful indicators to show us what and where we are headed. That we are able to have these perfect synchronicities as often as we desire, and we should embraced them as a natural way of living.” Tricia also noticed when they were missing, and that she was the one who was out of alignment with her universe and how it played out. Tricia’s memoir touches on subjects that are rarely spoken of, and the reason she wrote this memoir is to allow others to see the power of one’s intentions, and how their thoughts do send out their desires into the ether and they do manifest regardless of one's belief in either a positive or a negative way. Tricia summarizes what synchronicity means to her today. "People say that we are only six degrees away in separation from another, but in my reality these events proved to me that one can be one degree away at any moment from another, or desire, but one must be in the right state of mind." Currently, HER LOVE STORY is being offered online, via Amazon, http://www.amazon.com//dp/B01BHKBWY4/ book, Kindle, and available on other eBook sites. Born in New Zealand, Tricia resides in California. This is the fifth book Tricia has published around these metaphysical subjects. THE STARSEEDS; Beyond Time - YA novel about a young American Indian child who discovers a Galactic boy has returned to planet Earth. SPIRIT BOY; An Earth Spy - When a young boy dies on a playground, he decides to befriend two boys headed for trouble, and explains ‘cause and effect’ and the Law of Attraction. DAPHNE GOES BLUE - A dolphin who loved her ocean notices all the dangers that her friends are faced with because of the humans who have lost respect for their home. NEW ENERGY PARENTING - A new way to understand how the old negative, overly controlled way of parenting doesn’t work today. Punishing another human being will take them off their path of manifesting their dreams, their perfect job, life, home, and more.